← Grandparenthood Can Be Expensive! Canadian Federal Health Minister Leona Aglukkaq recently announced that Health Canada, along with Statistics Canada, will conduct a research study into whether or not wind turbine noise has a detrimental effect on human health and safety. The study, with a cost of over $1.8 million and an expected release date sometime in 2014, will take a look at nearly 2,000 homes distanced between 500 meters (1,640 feet) and five kilometers (3.10 miles) from installations with eight to twelve turbines. There are nearly 140 such places spread throughout Canada, supplying 2.3 percent of the country’s electricity needs. Interviews will be recorded, blood pressure will be monitored, and sleep studies will be conducted by 25 experts in acoustics, health assessment and medicine. Jane Wilson, who heads the group Ontario Wind Resistance, thinks the study is a great first step towards proving that wind turbines damage human health. “The symptoms that are being reported by people in Ontario are the same as those being reported around the world,” she said. “So there really is something there.” CEO of North American Platform Against Wind Power Sherri Lange supports the study as well. “The house vibrates, it becomes like a guitar. The noise and the vibration enters the home and it actually increases the effect,” she told CBC News. As to be expected, wind industry folks don’t think anyone will find any connection between wind turbines and human health. Robert Hornung, president of the Canadian Wind Energy Association, said that “we believe that the balance of scientific evidence clearly shows that wind turbines don’t have an impact on human health,” adding that numerous reviews in the past backed up his claims. He does, however, welcome any new studies on wind energy. “Health Canada’s new study will contribute to the scientific literature and our knowledge base, and we appreciate the opportunity for stakeholders to review the draft methodology and study design and we look forward to undertaking such a review and providing our feedback,” he said. In addition to industry members, even some government policy makers don’t expect anything from the report. The director of Queen’s University’s Institute for Energy and Environmental Policy Warren Mabee is among those who don’t see the correlation. “I don’t expect any big surprises in this report, because it’s been very, very difficult in the past to link conclusively cause and effect, to show that the turbines themselves are solely responsible for any kind of health impacts people are experiencing,” he said. My unprofessional guess and opinion? They aren’t going to find too much, unless a resident happens to live directly underneath one and they are suffering from a lack of sleep because of the noise. That I can understand being annoying and detrimental to one’s health. I imagine most anyone living directly underneath anything other than their own roof would have a complaint. I have not seen nor read one credible study yet that pointed to wind turbines and turbine installations being any more detrimental than power poles or your everyday, run-of-the-mill power plants. While some people say that the turbines cause all sorts of terrible health maladies, I have a lot of doubts. I think we need to take into consideration the effect on our health if we don’t move away from burning fossil fuels to provide electricity; I think that’s much more dangerous path to continue on than the noise generated by a wind turbine. Coal-burning power plants emit a ton of pollution, causing everything from asthma to cancer, both of which I believe are much worse than anything a bunch of spinning blades could ever cause. I suppose we’ll be moving all the airports away from residents as well. How about kids and dogs? Let’s remove them too so we can all have total peace and quite all the time. These groups that create controversy where thee is clearly none are all wasting our time and preventing our progress. And the Intelligent Design people are doing the same crap as these wind people. Disgusting really. Nice article here, David!!! Thanks! This seems like a complete waste of time and money. Hmm this is fascinating. 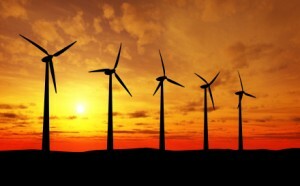 I grew up for 12 years near wind turbines (near as in a couple miles away) east of the Bay Area in Northern California. I never once heard about it being a health problem. My parents still live near there. The results of this study will be interesting! Studies like this take time. I don’t think we should jump to any conclusions yet. Very interesting article! I have never heard about the fact that wind turbines can cause serious health problems. It’s kind of hard to believe it. It seems like wind turbines should be the least harmful way of creating energy. I think they should focus more on the pollution and other serious issues that can really cause health problems! First, David, a correction. Jane Wilson is Chair of Wind Concerns Ontario, a registered non-profit corporation with a Board of Directors. The organization and its membership are all volunteers – no one is paid for their efforts. Somewhere in the neighbourhood of 50 Ontario communities that have organized opposition to large utility-scale wind turbine projects, are members of WCO. Ontario Wind Resistance is a very good website that collects and disseminates news, reports and commentary that is opposed to Wind Turbine projects. It is run by Esther Wrightman and a couple of other volunteers. None of these people are opposed to Green Energy – there is no opposition to geothermal, solar, biomass, tidal, hydro, fuel cells, or even small residential/farm scale wind turbines that are used to reduce grid demand. Opposition is based on the specific characteristics of utility scale wind turbines and the FACT that they cause serious disruption to people’s lives, property values, and other impacts when they are built in close proximity to people. Elena,it is worth your time to search youtube and google to start reading first hand reports of the impact of sleep deprivation and disruption on those people who aren’t able to tolerate wind turbine generated sounds and pressure waves. People in Denmark report impacts. People in Germany report impacts. People in Japan report impacts. People in Australia report impacts. And it is clearly NOT everybody – but it is significant. It is unfortunately a characteristic of this specific technology. And Money Beagle… there actually hasn’t been a single, credible epidemiological study, completed anywhere in the world by real scientists for this particular equipment. Lots of “paid-for” literature reviews, lots of anecdotal stuff, but no real before/after measurements of health indicators. This is the first serious health study in this space and it should be welcomed by both sides. BTW, the wind industry insisted and met with Health Canada ahead of the study to “review” the study design and made suggestions on which scientists should participate. Not that they have any stake in the results or anything like that… I am sure that their motivations were completely altruistic. And cj, one of the “Green” turbine companies wants to build 550ft wind turbines less than 1.2miles/2km off the end of one of the busiest regional airports in Ontario. That company is completely astonished that airport operations management is “opposed” to their project. And another wind company went ahead and built several 500ft turbines right in the height exclusion zone of another Ontario regional airport. They are apparently fighting an order by Canada’s Transport Canada to move them to a safe distance. That’s what people in Ontario are opposed to. So when so many companies are following the “Green is Good” mantra these days, understand that there is a lot of corporate greed infiltrating this globally important movement. Bob, thanks for the correction, will update the article. Appreciate the comments, but while there are lots of people who complain about turbines, there are no real studies pointing directly to associated health problems. There will always be people who have a problem with everything, and if we stopped progress because of that, we would never be able to move forward on anything. There are those who complain about solar panels being too bright; imagine if we tore them all down? Again, thanks for your input. There are many, many observations of changes in health reported by family doctors. Many. And there are numerous studies trying to determine to what extent and why wind turbine noise generates more “annoyance” than airports, highways and other common sources of noise. Try Nissenbaum as a start but its easy to find all kinds of published peer-reviewed science that should lead objective readers to conclude that we actually do need good science (i.e. not purchased or designed by the proponents who make profit from the machines) done on this. And even the literature reviews conducted by the various wind orgs almost uniformly recommend that further studies are warranted and that there is a lack of rigorous epidemiological study. People who actually abandon homes, or have them purchased by wind project operators, or start taking on the additional expense of maintaining alternative living quarters away from an existing are hardly in the same scale as someone who might say that “solar panels are too bright”. There is something different about 600ft structures with 747-sized blades spinning at approximately 200mph. These machines aren’t the same as solar panels, geothermal plants, hydro dams, biomass generators. They are very, very different from all other types of green energy. But they are the ‘brand’ of the Green Movement – and that is NOT an accident. Professional property appraisal firms all over the world have identified specific property value losses in residences that are close to wind farms but the wind (i.e. the gas+oil+solar+wind=energy) industry spends lots of PR money to neutralize impact reporting. I often ask people such as yourself, David, to take the time to actually speak to a family that has abandoned their home because they are unable to tolerate living in proximity to 600ft wind turbines. So far, I don’t know of a single time, that a blogger or writer has made the effort to do that. Not once. And once again, take care that you are not unduly influenced by exceptional marketing and PR. Because I think the wind industry is one of the very best Marketing/PR success stories of the last 100 years. I wonder why we aren’t able to cover every urban rooftop with solar panels to reduce demand on existing grids (thereby reducing requirements for new utility scale generation) but we are able to contract for $60B+ of wind generation over 20 years that Ontario likely doesn’t even need. If we had spent a tenth of that and supplied every household and industry with LED light bulbs to replace all CFC and carbon bulbs we would have achieved a far greater REDUCTION in energy demand in Ontario. We should be doing things that matter – that actually reduce our energy consumption – and investing in technologies that promise a far greater return on the dollar than current utility scale wind generation. P.S. Talk to someone who has lived with these machines and couldn’t handle it. I have. It was illuminating for me.